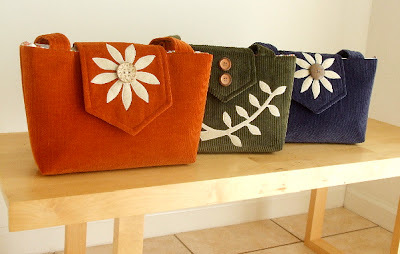 Yesterday I spent most of the day photographing new handbags and also re-shooting older bags to give them a fresh start. 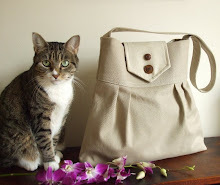 The new bags are now available in the Pesky Cat Designs shop. Wristlets are coming soon as well as more clutches. I placed an order for Harris Tweed wool from Scotland last week and I can't wait for it to arrive. In the meantime I am working with my supply of cotton corduroy and faux suede. Below is a shoot of my studio taken last week. It's a bit less organized right now but in full activity! wow! what a pretty workspace. 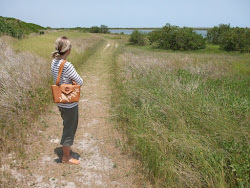 Mine looks like the worst place ever compared to yours! 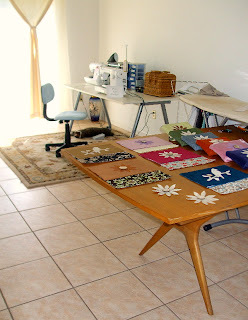 Sigh, such neat and tidy work space, makes me want to jump on that chair and start sewing!